PRE-ORDER ONLY! SHIPS AUGUST 2019! Give up your fears of straight-line quilting and learn to love it! Quilting expert Natalia Bonner is back with more than sixty new linear patterns for triangle blocks, square blocks, borders, and allover designs. 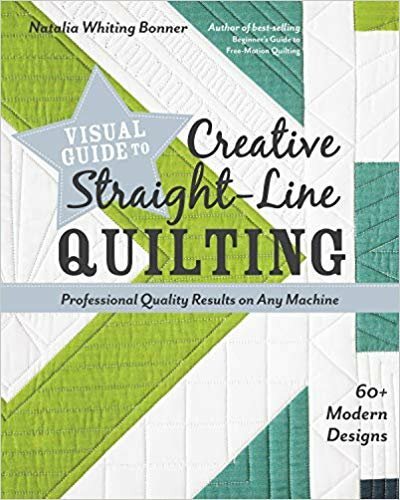 Learn how satisfying it is to quilt with only straight lines, using your walking foot or free-motion quilting with rulers. Domestic or longarm machine… anything goes! Each pattern comes with step-by-step photos, making it accessible to all quilters—even beginners.